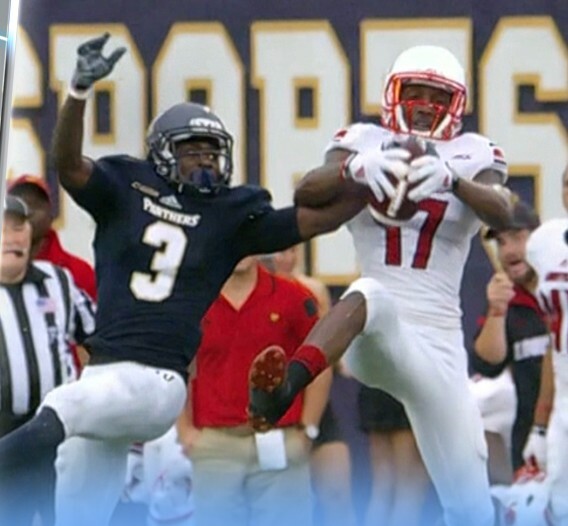 Louisville defeated Notre Dame 31-28 in their first trip to South Bend in school history. After John Wallace missed a 37 yard field goal, Notre Dame took the ball with just over five minutes left on their own 20 yard line. The Irish marched to the Louisville 9-yard line, but the Cardinal defense held firm. With 51 seconds left, Notre Dame kicker Kyle Brindza missed a game tying field goal from 32 yards. The Cardinal offense rushed for 229 yard, finding a good rhythm in the second half leading to two touchdowns. Brandon Radcliff led the rushing attack with 136 yards on 17 carries and scored the game clinching touchdown from 15 yards early in the fourth quarter. Michael Dyer rushed for 61 yards on 13 carries. With the season ending injury to Will Gardner two weeks ago, Reggie Bonnafon started at quarterback for the first time since October 11 against Clemson. The freshman completed 8-of-21 passes for 180 yards and a touchdown. Bonnafon ran for two touchdowns from 12 and 8 yards in the first quarter. It rained throughout the night, but each team had just one turnover. Bonnafon threw an interception with eight seconds before halftime while Notre Dame quarterback Everett Golson was intercepted by Charles Gaines early in the second quarter. DeVante Parker was covered well throughout the night, but finished with four catches for 65 yards and a touchdown. Louisville (8-3) faces rival Kentucky (5-6) in the season finale next Saturday at Papa John’s Cardinal Stadium. With the win against Notre Dame, Louisville still has an outside shot at playing in the Orange Bowl.